Mr. Sam Baker - the co-founder of SRX - has said that the Total Debt Servicing Ratio (TDSR), while being the most effective of the cooling measures so far, is running out of steam. And the only way to make private home market prices fall further may be to increase supply. 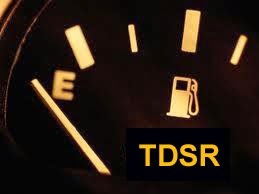 Do you agree that the TDSR is losing its effectiveness? 1 comment to ''TDSR losing steam..?" TDSR is by far the most effective cooling measure.. and the results are apparent (by volume). By and large the speculation in the mass market is gone. Supply is already ramp up and it will take time for market to absorb. I think a gentle downward sliding of price is the outcome the government want, not breaking the market. For prices to go down suddenly, it will take an external shock (sudden spike in interest rates or recession resulting in massive job losses), by then the government can unload the bullets by unwinding the cooling measures. It looks like finally they got it under control, so I think it is still effective.